Your essential monthly update on properties, venues and regional trends specifically for meeting planners involved with events in Arizona. 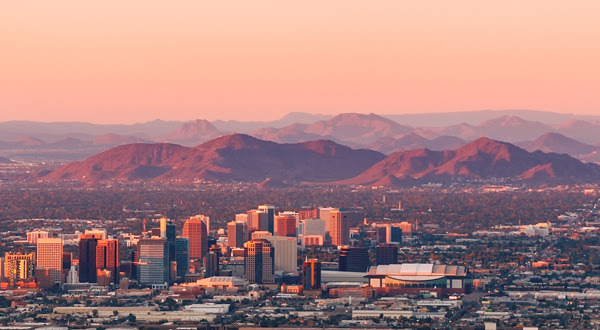 Arizona entices groups with its natural beauty, innovative cuisine and rich culture in urban outposts like Phoenix and Tucson. A wealth of experiences are offered at the state’s world-renowned resorts. Located within walking distance to the Phoenix Convention Center, the property will feature 5,733 square feet of meeting space, as well as direct access to the Phoenix Light Rail System. Leading female meetings and incentives buyers and suppliers will join together to network, engage each other in dialogue, and plan and do business. Connect with top hotels, CVBs, DMCs, and venues from across Arizona in pre-scheduled, one-on-one appointments at this fully hosted event.